Run Cottage Touring Park01394 411309work Holiday, Touring & Camping ParkClose to the market town of Woodbridge we are a small family run touring site with just 45 generously sized pitches located on Suffolk's heritage coast on the outskirts of the village of Hollesley. Set in 4.5 acres of parkland, with views overlooking the open farmland. We offer peace and tranquility, a place to escape the hustle and bustle of today's busy life style, you will soon discover an abundance of wildlife. You may even catch site of the elusive kingfisher. 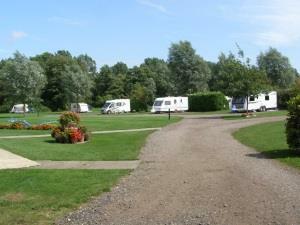 Close to the market town of Woodbridge we are a small family run touring site with just 45 generously sized pitches located on Suffolk's heritage coast on the outskirts of the village of Hollesley. Set in 4.5 acres of parkland, with views overlooking the open farmland. We offer peace and tranquility, a place to escape the hustle and bustle of today's busy life style, you will soon discover an abundance of wildlife. You may even catch site of the elusive kingfisher. New for 2016 are our luxury Glamping pods which overlook our wildlife pond. Shingle beach 1.5 miles, Golf 5 miles, Horse riding 1 Mile, fishing 5 miles. Children welcome from any age. Turn right off the A12 (Ipswich-Saxmundham) at Melton onto A1152 (sp Bawdsey, Orford) within 1.5 miles turn right at roundabout onto B1083 (sp Bawdsey, Hollesley), within 0.75 miles fork left (sp Hollesley 5 miles). You arrive into Hollesley on Duck corner cross roads. Turn right into 'The Street' and continue through village down a small hill over Red Brick Bridge, site is on the left 100 yards past bridge.